A few people have asked about finding it in non-Amazon formats. Unfortunately, Amazon provides some pretty nice incentives to go exclusively through them, which is why the serial installments have all been through Kindle Direct Publishing. If you don’t want to wait for the omnibus edition, which will be available in multiple formats, including dead tree, there are a couple work-arounds. You can use Calibre to convert the Amazon .mobi file to another format (I publish without DRM, so this shouldn’t be a problem) or you can read it through Amazon’s browser on a computer or other internet enabled device. 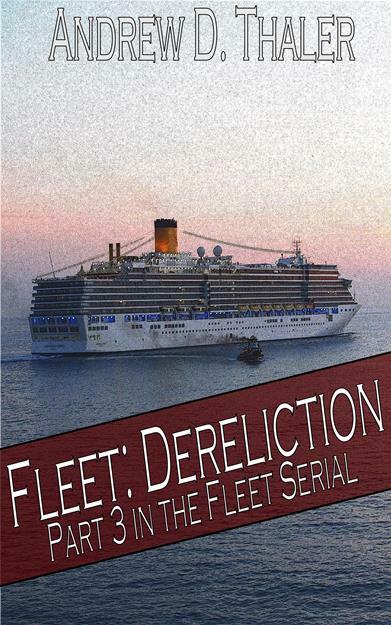 Check out Fleet: Dereliction today!